Add 10 or more Adult Day Pass tickets to your cart in one order, click to apply the discount and save 10%! Add Gala ticket to your cart, then enter and confirm your pre-issued code to obtain the discounted price. Note: Limit of one discounted guest per artist only! A free 'revisiting' Child pass with a paying Adult ticket, with pre-issued promotional code. Following the overwhelming popularity of the last NZ Sculpture OnShore, this iconic North Shore event will return to Devonport for an extended three-week exhibition in November 2018. 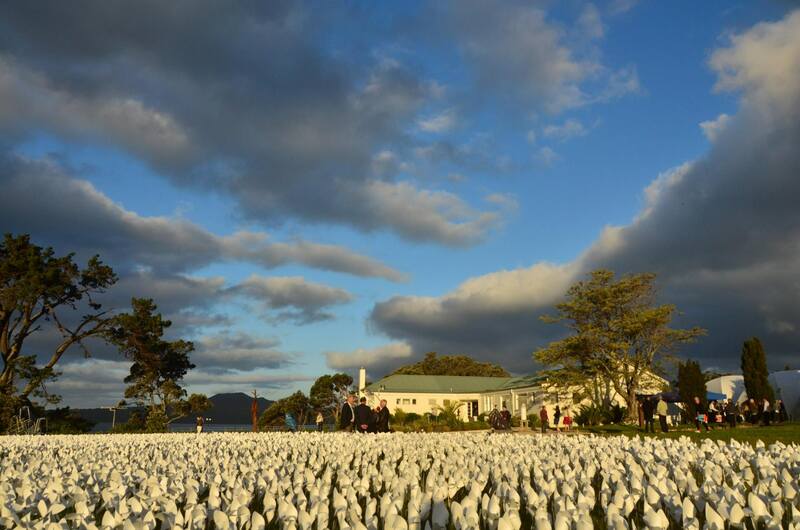 The stunning Devonport clifftop site will once again be transformed into NZ’s largest sculpture park, featuring over 80 sculptures by artists from across Aotearoa. 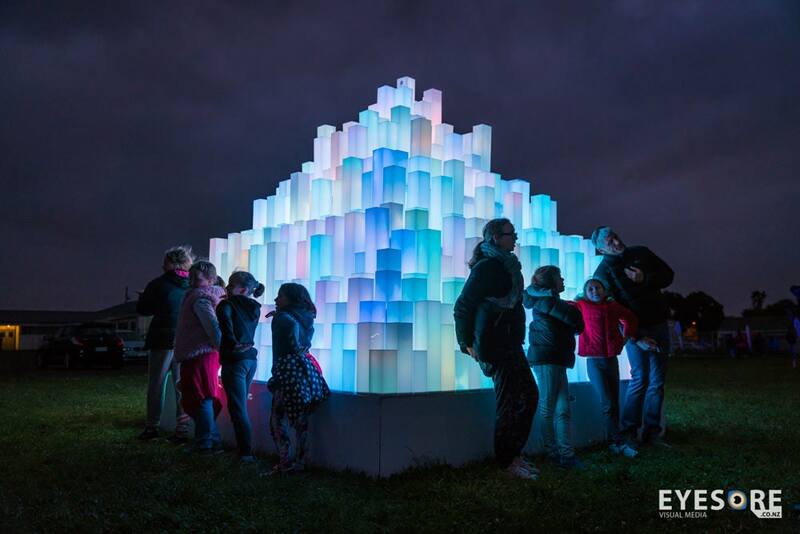 NZ Sculpture OnShore has a strong focus on nurturing and inspiring young New Zealanders to develop a passion and appreciation for the arts through our education and children’s programs, making for a great family day out. 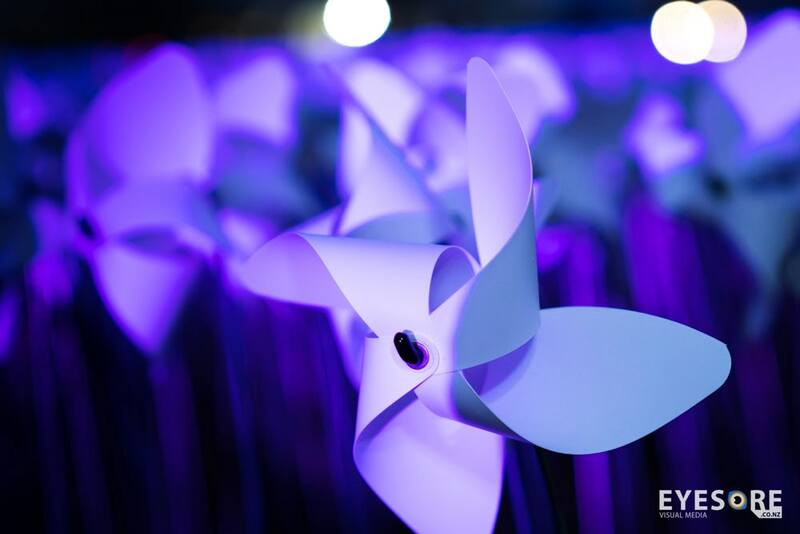 By visiting the event, you are helping to support women and children in NZ who need the help of Women’s Refuge NZ. Click on the logo to make a donation towards the support. 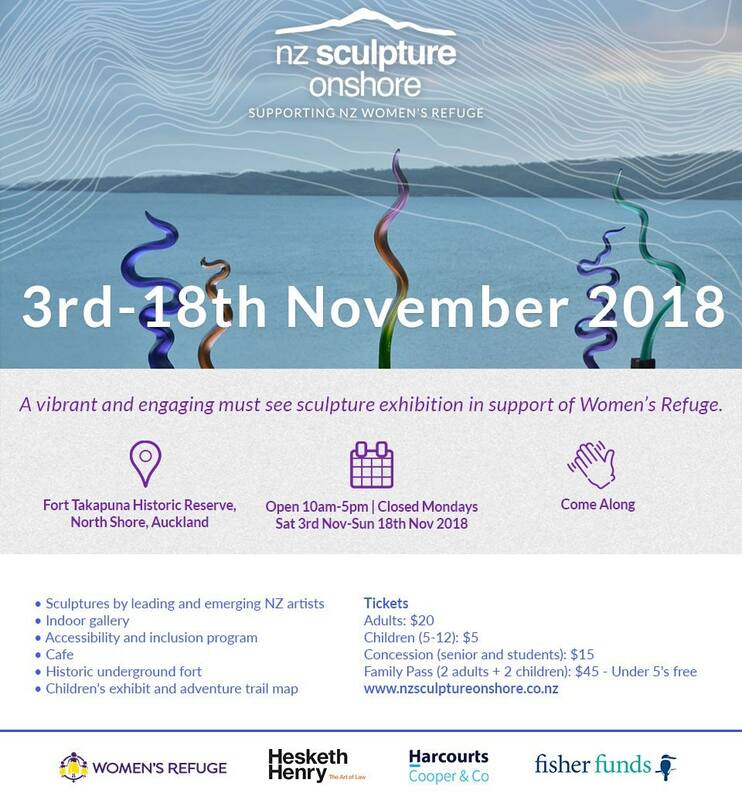 NZ Sculpture OnShore is wholly owned by the Friends of Women’s Refuge Trust and is one of the largest fundraising events for New Zealand Women’s Refuge. Dr Ang Jury, CEO of Women’s Refuge says, "Our relationship NZ Sculpture OnShore has spanned 22 years, and we are thrilled to be involved with another inspiring event. The funds raised, make such a valuable difference to the lives of the 20,000 women and children in NZ that Women’s Refuge helps every year." 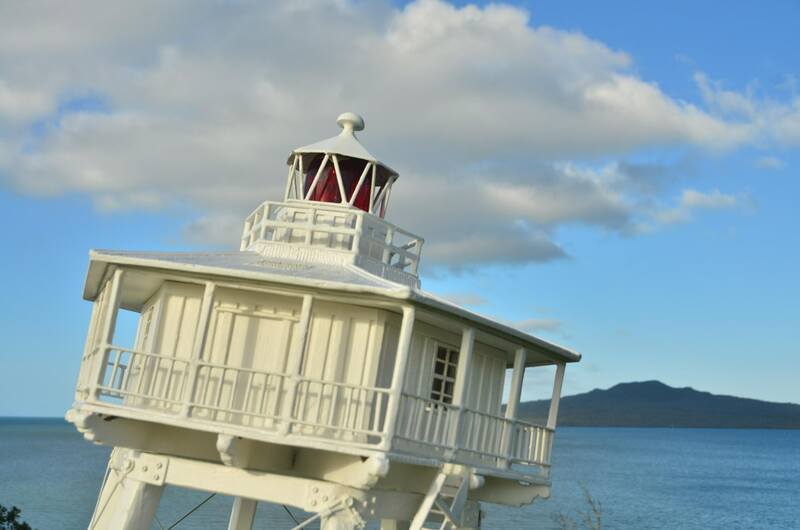 While visiting the exhibition, it is also a perfect opportunity to check out Takapuna and Devonport’s beautiful beaches, bustling cafe’s, museums and two volcanic cones. You can travel to the exhibition by car, ferry, bus or bike. It is an easy location to travel to. You can drive to Takapuna, park and ride to the exhibit, drive along the picturesque peninsula to Devonport or jump on a ferry in downtown Auckland for the quick 12 minute ferry ride. Click Here for an easy Journey Planner to Fort Takapuna Reserve. There is plenty of parking on site at the event for a small fee of $5 - please bring cash on the day. Visit NZSculptureonShore.co.nz for more details. Josh Olley, Stone Sculptor from nzsculpt on Vimeo. Introducing Sofia Athineou from nzsculpt on Vimeo.